Dr. Rajendra Chormale is a practicing physician and a farmer in the true respect. Coming from a farming family - Dr. Chormale first went on to study medicine and graduated in flying colours. But his love for farming drew him back and today he grows Papaya, Sweetlime and Pomegranates under the ZBNF scheme. 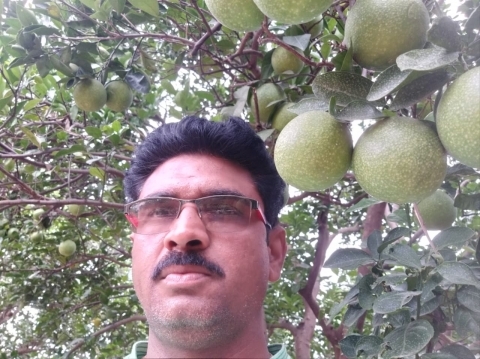 Dr. Rajendra Chormale grows New Sheller variety of Sweetlime - by far the best variety you can have. Also the Papaya he grows - Thai Red Lady 786 - is arguably he sweetest variety of Papaya you can have.